One of those topics was the knee tap. When we first started EDE 2 in 2009, we would tell participants that they should only use EDE for the more difficult knee tap. Then about a year later we realized that it was good practice for all the joint taps and other procedures. So we started to suggest to participants that they use EDE for all of their knee taps to improve their psychomotor skills as they are climbing their learning curve. As our collective experience continued to grow, it dawned on us that even the knee tap was made more efficient when EDE was used routinely. The confirmation that we are right came in an email received today. Dr Adam Lenny is young emergency physician and new recruit to Sudbury who has been with us for the last couple of years. Among his many talents is that he is a master of ED efficiency. When it comes to patient care, he doesn’t cut corners. But every task that surrounds that care is made uber-efficient. If 30 seconds can be shaved off a task through delegation or process improvement, Adam has found a way to do it. And if something wastes 30 seconds without adding to patient care, he won’t do it. 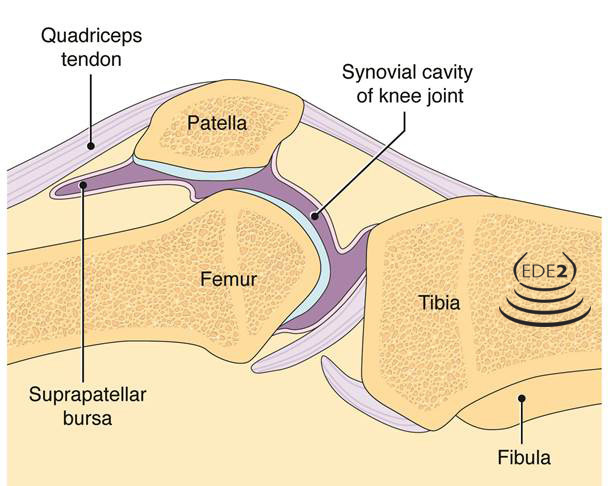 Yes, routine use of POCUS/EDE for the knee tap. Really, for that! !